Community organizer and entrepreneur Ja’Mal Green is making history as the youngest candidate to run for mayor. 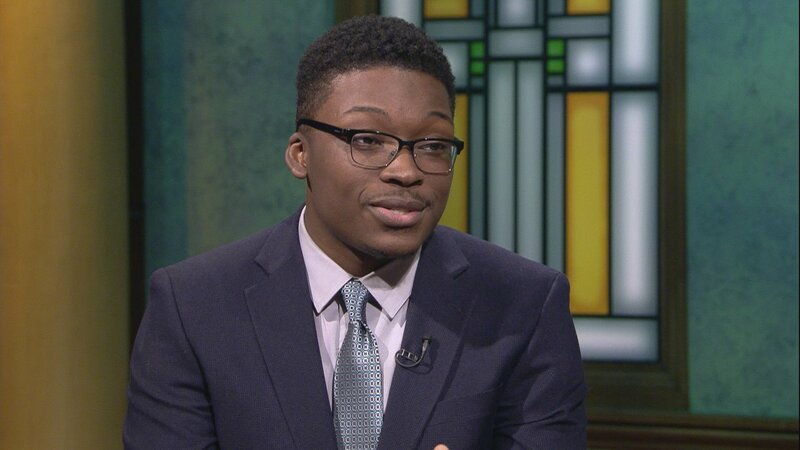 The 22-year-old joins a growing list of candidates hoping to unseat Chicago Mayor Rahm Emanuel. Green, a Black Lives Matter activist who supported Vermont Sen. Bernie Sanders for president, says the city needs new leadership and that it’s time for the millennial generation to step up. Green says that if elected mayor he would stop what he calls the “mismanagement of city funds” and then prioritize to ensure money is being spent wisely. One potential new source of revenue could be taxes from the legal sale of marijuana. “We need a progressive source of income and I am for the decriminalization of cannabis,” Green said. He also favors a plan that would require police officers to have their own independent insurance policies as a means of enhancing accountability. Green also favors an elected school board to provide greater transparency and accountability for Chicago Public Schools as well as the creation of wellness centers across the city to provide services to those with mental illness. Green had his own run-in with the police in 2016 when he was among a group of 19 arrested at an anti-police brutality event at the Taste of Chicago. He plead guilty to resisting arrest. Felony charges alleging he struck a police officer were later dropped.